I was very comfortable in talking with Dr. Sachsev regarding my issues. She gave honest opinion and advised me of thebest choice on moving forward. I left feeling at ease and look forward to working with her on my journey to feeling better. I was very comfortable in talking with Dr. Sachsev regarding my issues. She gave honest opinion and advised me of the best choice on moving forward. I left feeling at easeand look forward to working with her on my journey to feeling better. Great doctor. She talks to you the entire time to make sure you are comfortable! Great Doctor,took care of all my needs and very good with explaining any conditions. Dr. Sachdev was very informative, and a great listener. She didn't treat me like an ignorant patient. She also was very accommodating for my illness, in fact just about the whole staff was great. She is an excellent physician and is willing to listen carefully to what works and doesn't work. only issue is long wait! She was so easy to talk to, was very friendly, positive, thoughtful, and thorough. I have some follow-up that's needed, and I am definitely going to work with her for all of it. Highly recommend! Dr. Sachdev is a great listener who took my concerns seriously. She takes her time and I never feel rushed. I highly recommend! I felt very comfortable with her right away!!! Dr. Sachdev was very patient and listened attentively to my concerns. She was not dismissive or in a hurry. Her front desk staff are professional and friendly. She was kind, asked a lot of questions and was very help! She was very professional and easy to work with. I enjoyed my visit with her. I have referred Dr. Sachdev to a couple people and they were greatly satisfied with her service. She was very honest with me about my health and what I needed to do. Pleasant experience. Friendly enough. Will revisit. She was attentive and kind. Will come to see here again. Absolutely Awesome! Very personable and professional! She is very professional, easy to talk to and has a great personality. Love her staff too! Dr. Sachdev was very friendly and professional, and she took the time to listen to my concerns. Reception and the nurses were also very friendly and helpful. The wait time was minimal, and overall it was a very good experience. Love the office the workers amd the doc!! 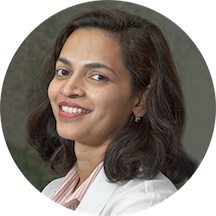 Dr. Sachdev was great, but she is in a shared office with other practitioners, and the staff was not the fastest at getting patients in with their doctors. That being said she was great, and she listened, in my experience thatis great because many of them don't listen the patients like they should. Very attentive. Listened to what I had to say. Didn't feel rushed. She was very kind. Did not know what my appointment was about though. I specifically told the woman who scheduled me and put online that I was to be tested for Celiacs Disease and she had no idea. Wait time was relatively short, considering that it gave me time to fill out the necessary papers. The doctor ( Sachdev) was very professional and thorough. She has excellent bedside manner. However, it is obvious that the office has not trainedtheir assistants in how to be professional. The young lady who was assisting Dr. Sachdev was speaking to the patients like a drill sergeant. I will never return to Dr. Sachdev. I had to wait about 30 minutes after being taken back to the examination room before she came in. She asked questions, did a very minimal examination, told me she was ordering bloodwork andI've never seen her again. I went back for my results and waited in the exam room more than an hour and had to leave. She never called with the results, to this date over a year later I still don't know my results but I paid for labwork and still having issues. I am looking for a new doctor now. It was a good appointment despite the wait time to see her. But once I was called back, the process was quick. Vitals were taken, history was put in computer and next thing I knew I saw the doctor. She was very friendly and knowledgeable. Understands the situation of the patient. Provides excellent suggestions. Thought she was kind and super professional. Very pleasant visit. Her wait time was too long. I think the doctor is great. What I did not like was waiting over an hour before I was seen. I do understand that there was two of us booked at the same time. While I understand accidents happen, I sincerelyhope that this will be my only exposure to this type of problem at her office. I would like to contnue being seen by her. Doctor seemed slightly brusque but highly confident. I feel the first visit went well and am optimistic about resolving the problem I came for.